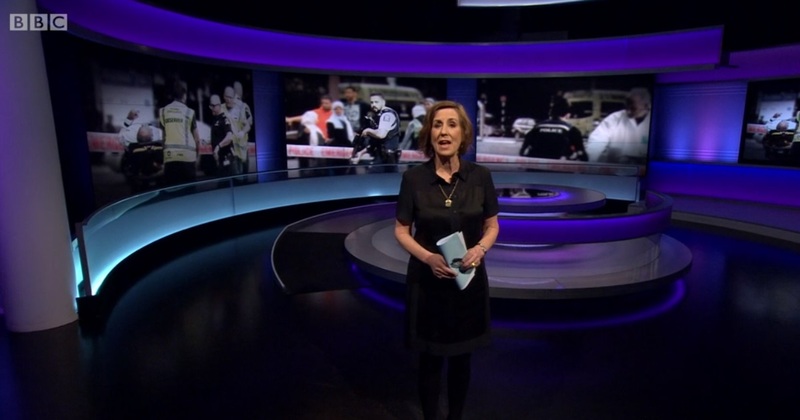 A former producer at BBC Newsnight said she was shocked at how the current-affairs show covered the Christchurch massacre in which 50 Muslims were killed by a far-right terrorist. Farah Jassat spoke out after Newsnight invited a far-right group, Generation Identity, to offer their views on the day of the massacre. She said the BBC wouldn't do that for other terrorist atrocities. The BBC has also come under criticism for another segment in which a presenter asked a Muslim commentator, also on the day of the massacre, whether British Muslims had done enough to criticise Islamist extremism in Britain (video below). Farah Jassat tweeted: "It was jarring that the [BBC's] first night's coverage didn't focus on the Muslim community/victims at all. It went straight into 2nd/3rd day news analysis focusing on the killer and his ideology without giving any attention to the immediate trauma as we do with other attacks." "Interviewing someone from Generation Identity was shocking and incredibly insensitive on first day coverage of a massacre of a minority community - to invite an extremist on who uses The Great Replacement narrative + says on air that the typical Muslim way of life is incompatible with Western culture and that these attacks are inevitable if you continue to have Muslims with different views on life in our societies." "With other minority communities such as in the Orlando shootings with LGBTQ community and the Pittsburgh shooting we don't ask people to come and spew hate on the idelogy that killed them the night of the attack." "Following this VT (Video Tape, i.e. a pre-recorded segment) none of the 3 live discussion guests were Muslim. The entire coverage of a terrorist attack targeting a minority community was done without bothering to speak to that community bar a short voxpop in the VT."
"I've seen a lot of Muslims angry/upset about the way @BBCNewsnight tackled this tragic attack. Humanising reporting on minority communities in these circumstances goes a long way. I would say worth reflecting on BBC Newsnight." The BBC Newswatch presenter Samira Ahmed said she would be raising the issue on Friday.